This Feiss Lexi 1 light mini ceiling pendant with crystal in polished nickel with silk shade boasts contemporary elegance and sparkling style. 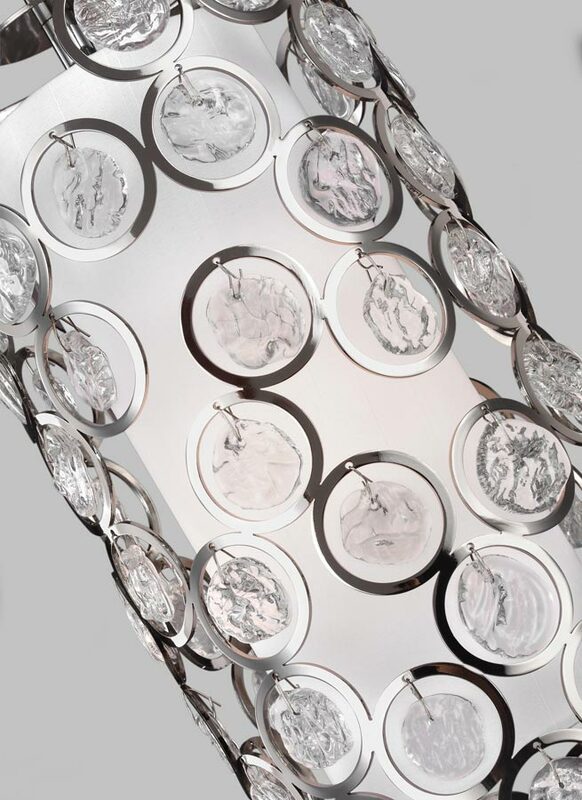 Circular ceiling cup and height adjustable drop rod, with clear faceted crystals within a laser cut outer drum frame in polished nickel. 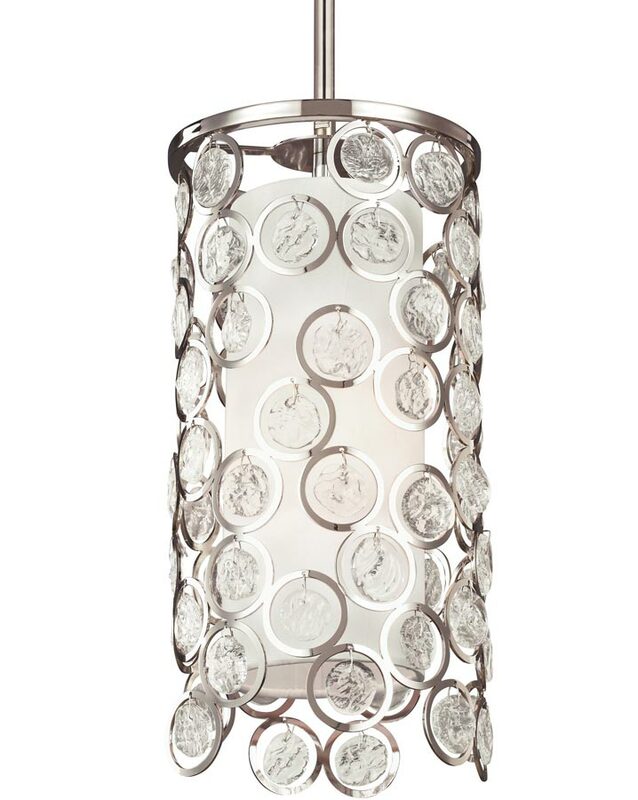 A white shantung silk shade sits within the crystal cylinder to soften the light. A small pendant light that is well suited to any stylish kitchen or dining area, installed singly or in multiples for dramatic effect. Supplied with three 30cm and one 15cm rods that can be used in any combination to achieve the desired drop, please see below for dimensions. There are coordinating fittings available in the Lexi collection that include a single wall light and three-light ceiling pendant, please see below. This contemporary light is supplied by Elstead Lighting and designed in the USA by Feiss, founded in New York in 1955. They have become well known over the years for their contemporary yet classic styling, quality and great original designs like the Lexi 1 light mini ceiling pendant with crystal in polished nickel with silk shade you see here.